One of the best things about SEO is that you can quickly get ahead of your competitors because success leaves clues. If your competitors are ranking at the top of Google’s Search Results, you can take a peek behind the scenes and discover their secrets. While this might feel it’s a tad like spying, it’s actually a legitimate marketing strategy that business professionals use each and every day. Who your top online competitors are. You may even learn your competitors are different than the ones you thought. If your competitors are purchasing ads and how much they’re spending. What keyword phrases your competitors are trying to rank for. 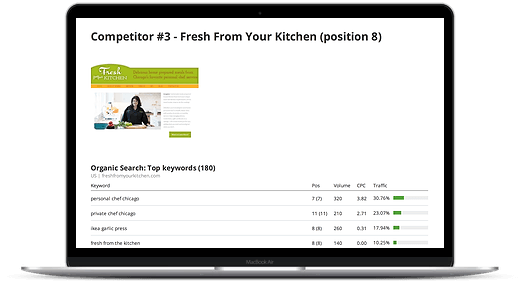 Your competitors’ top ranking keywords. Great keyword strategies to help you write better web content. Which domains are linking to their website and contributing to their authority with Google. Which backlinks are providing them free website traffic. How successful they are on social media. The last one might actually be the most important insight of all. When you really know about your competitor’s SEO you might discover they are not as smart as you thought. 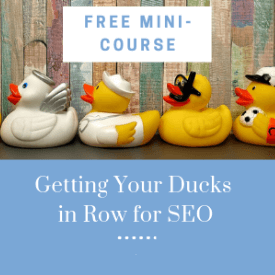 This will empower you to devise an SEO strategy to move ahead of them – and win the race. We offer two competitor analysis reports. Both come with an 1 hour consulting session. We will walk you through all of our findings and offer suggestions on how to best use the information. All sessions will be recorded for your use. Later, if you would like some additional coaching, we are happy to continue to work one-on-one. We can teach you to use the same SEO market research tools that we use. 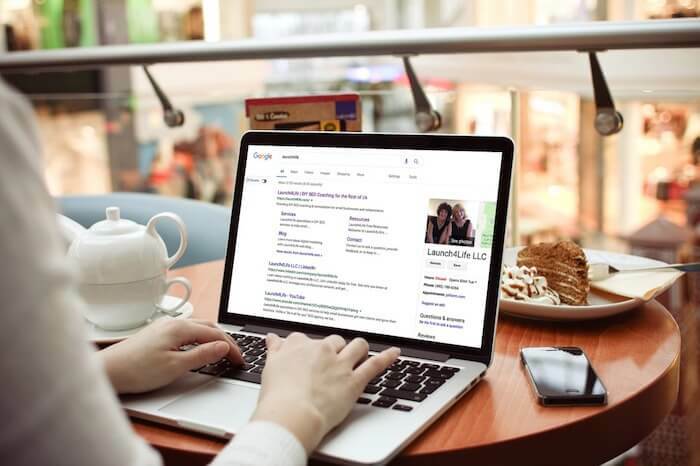 Our keywords report provides you with a wealth of information to help you find the right keywords for your products and services. We will analyze your website in comparison to 3 of your chosen top competitors. Deliverables include a 60 minute video consult, plus a detailed PDF report, and the recording of the conference call. NOTE: We suggest that before you order a Keyword Competitor Report, you first book an SEO Consult and/or have had us perform an SEO Website Audit. The reports we provide are timely and you need to be prepared to use the information obtained quickly and effectively. 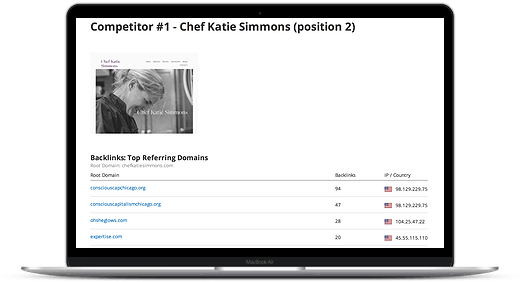 Our backlinks report identifies the specific domains and related websites that are contributing to your competitors’ domain authority and free website traffic. 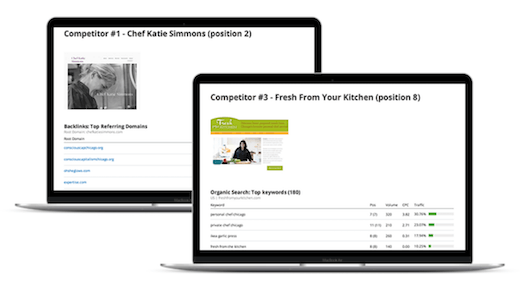 In this bundled package, you get both a competitor keywords report AND a competitor backlinks report. See above for individual details. Deliverables include two (2) separate 60 minute video consults, plus detailed PDF reports, and the recordings of each conference call. Note: We will run your Keywords Competitor Report first. After we have reviewed the findings of that report with you, we will discuss the timing of running the Backlinks Competitor Report.